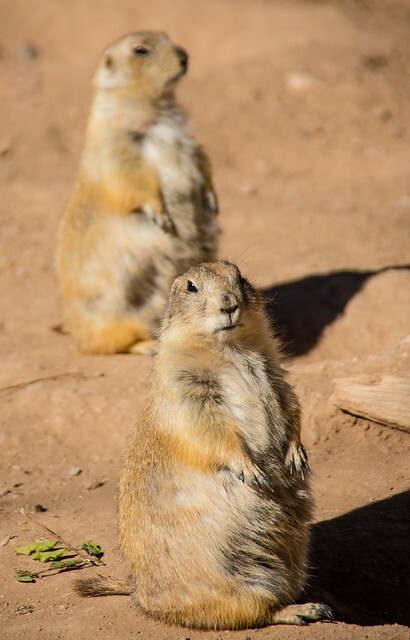 Tara Stephens, Calgary Zoo’s Centre for Conservation and Research, will discuss the Prairie Dog/Ferret Ecology in Grasslands National Park in a Dec. 11 webinar organized by PCAP Sask. Everyone is welcome to attend Green Drinks Saskatoon at 5:30 pm, Dec. 12, at the Hose & Hydrant on 11th Street E.
Join the Saskatoon Young Naturalists between 10:30 am and 3:30 pm as they head out once an hour to count the birds you see at the Forestry Farm Park. You can warm up afterwards with cookies and hot chocolate. Jason Unruh, University of Regina, will talk about the Effects of Oil Development on Grassland Songbirds at 7 pm, Jan. 21, at the Saskatchewan Science Centre as part of PCAP’s Native Prairie Speaker Series. The City of Saskatoon is considering a solar power project to test 3 different types of solar PV panels to help power the landfill gas power generation facility. They are also considering a pilot project to help up to 50 households purchase and install solar panel systems. Unlike Saskatoon, the city of Magog, QC, is implementing a lighting policy that is reducing light pollution and energy use. The Saskatchewan government has signed a 10-year agreement with Weyerhauser to conduct ecologically responsible logging operations emulating natural growth patterns of the forest in Duck Mountain Provincial Park.